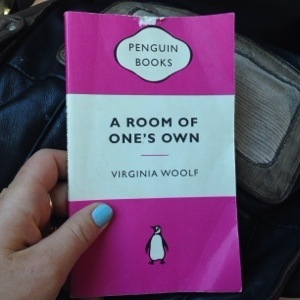 Not long ago I re read Virginia Woolf’s room of one’s own. It made my heart burn with the urge to shut myself away, to have my 500 pounds a year and to devote myself solely to being creative. But, hello, reality check, with a family to run, requiring many things of me, the above is a selfish and impossible idea. 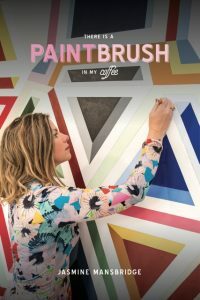 So, while much has improved for women in the last hundred years, it is still hard work trying to carve out a creative livelihood if you are female and if you are a mother. It is difficult when what you do for a living, barely makes a living. I am fortunate to always make enough to pay for materials and to be able to exhibit and also to not be the main “breadwinner” in our family. I am not complaining, understand that, it’s just that Virginia’s words, written a hundred years ago, still resonate with me. They still hold a truth for women and their “place” and how this impacts their ability to fulfil their creative ambitions. While for many years I didn’t have a room of my own, I have always made some place in my house my own, (usually painting in my bedroom), now I have a studio in my house, the old formal dining room. The challenge I face daily is getting the time to get in there. 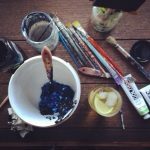 I have four children and so most often, “my work time” starts at about eight at night, usually I paint until midnight. It is when the house falls quiet, and my brain unwinds from the day, that I feel like I am coming alive. I love my family and wouldn’t trade them for the world, but, there is a constant awareness inside of me to keep the balance. To keep creating, which in turn keeps me alive and fills me with vitality, which naturally feeds into my mothering. If the balance is lost, I begin to feel jaded and worn out by daily life. So it is a wonderful thing, how far we have come when it comes to equality for women, but, we still have a long way to go. On a micro level, on my home front, I am blessed to have a husband who supports me and (crucially) attempts to understand my need to create and to give me the space to do so. This hasn’t come without dialogue, compromise and a desire to share a rewarding life together. It can be hard to articulate the desire to withdraw yourself in a relationship to “make stuff”. Early in his career, the well known Australian artist John Olsen had a wealthy businessman pay for him and his family to live in Italy for several years, so he could just get on with painting. That would be a dream come true for me, and it comes back to the “500 a year”, the allowance the subject of “A room of one’s own” receives, which allows her, in her generation to write professionally. But, for now, I must remain content with my current situation, knowing I am doing what I can with all I have, remaining, however, open to new ideas and ways of working. Eyes open for new opportunities and grateful always for what I already have!